ACI Medical, LLC is a biomedical engineering firm engaged in the research, development, manufacture and sale of therapeutic products and technologies for individuals with varying degrees of limb- and life-threatening vascular conditions. With more than 30 years’ experience bringing innovative healthcare products to market, we are committed to developing, producing and distributing the highest-quality products for patients, consumers and healthcare partners. 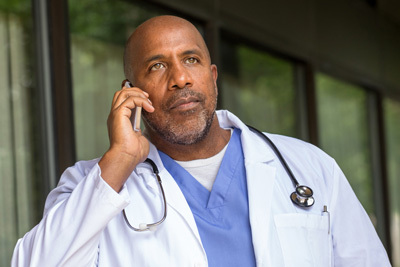 Whether you are a physician looking for effective treatment for your vascular disease patients, a concerned family member researching non-invasive treatment options for a loved one, an athlete looking to train smarter, or a patient simply dreaming of a pain free lifestyle … read on and learn more about what ACI Medical can offer. ACI Medical offers patented technologies in several devices that assist providers and improve patient outcomes. 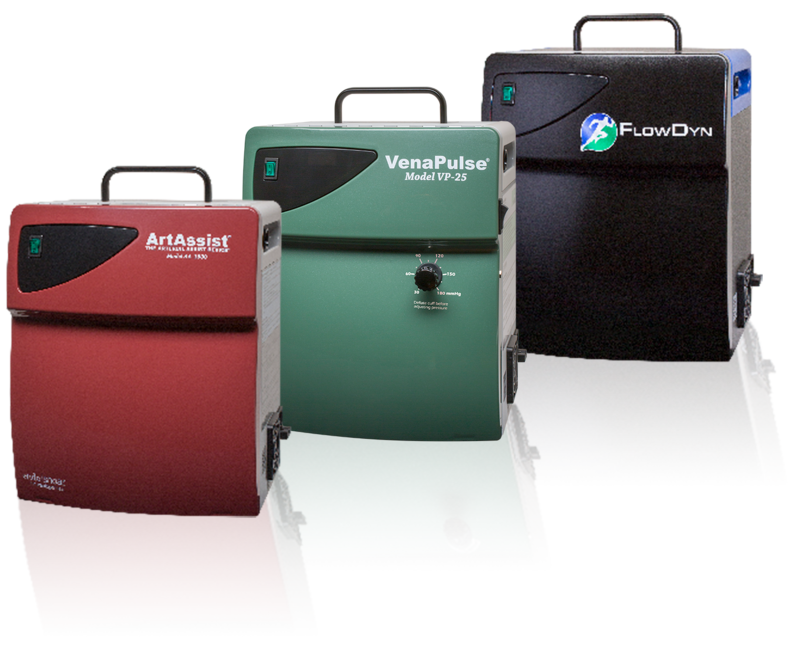 ArtAssist®, The Arterial Assist Device®, can triple arterial blood flow in PAD patients. 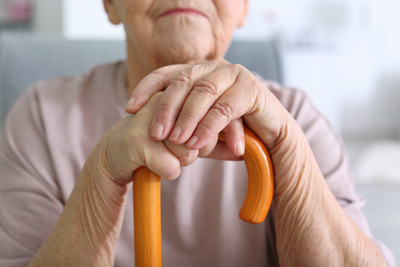 Clinical studies have shown short-term therapeutic benefits (such as reduced pain and improved walking distances) and long-term benefits (including collateral vessel formation and improved healing of ulcers). This is a prescription-only device. FlowDyn™ for Athletes – Rapid mechanical pulses to the muscles increases tissue blood flow, leading to enhanced muscle repair, more rapid recovery from sports training or injury and increased range of motion. The APG® Air Plethysmograph is a non-invasive diagnostic tool that quantifies the physiological components of chronic venous disease. The VenaPulse® hands-free augmentation device provides a portable and ergonomic advantage for performing venous insufficiency patient exams. The UnnaSleeve™ is a non-stretch compression sleeve for patients with lower-limb venous insufficiency. The ArtAssist®, The Arterial Assist Device®, is a doctor prescribed, home-use medical treatment designed to increase blood flow without surgery so that wounds can heal and patients can keep their limbs. Clinical studies and years of patient use have demonstrated both short and long-term benefits. All you need will be shipped directly to you, including an instructional DVD. The device controller is portable and easy to use. Simply sit down, apply the cuffs, and turn it on. ArtAssist® does the rest! 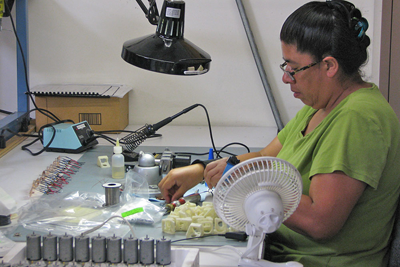 ACI Medical’s Contract Manufacturing and Engineering Team is best known for the ability to solve issues other manufacturers cannot and produce orders on time. We offer quality, cost-effective solutions. Miniature Diaphragm Pumps – we are an FDA registered company producing high quality miniature diaphragm pumps for use in a variety of medical and non-medical applications. Our pumps have air, vacuum and liquid capabilities. Custom Plastic Molding – we combine a modern CAD/CAM tool room with a range of injection molding equipment, assembly capabilities and part plastic molding printing. Parts are molded for medical, industrial and consumer products. Learn more about our design laboratory and machine shop capabilities and the best delivery time in the industry. ACI Medical’s FlowDyn™ Device was developed for athletes looking to gain a competitive edge by training harder and more frequently. 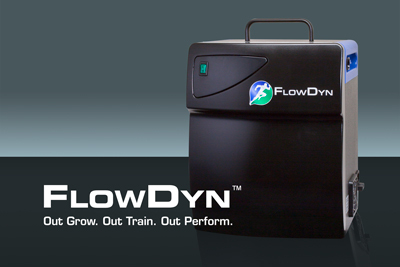 The FlowDyn™ accelerates an athlete’s recovery process using rapid mechanical pulses to improve local circulation and create vascular shear stress, allowing them to get back to intense training or competition in a shorter amount of time. Compared to pneumatic tube devices, FlowDyn™ creates shear stress with rapid mechanical stimuli (vasodilation, growth factors, etc. ), targets muscle groups, and does not restrict joint motion or blood flow. FlowDyn™ was developed using the same clinical study findings as the ArtAssist® device, as cited below.